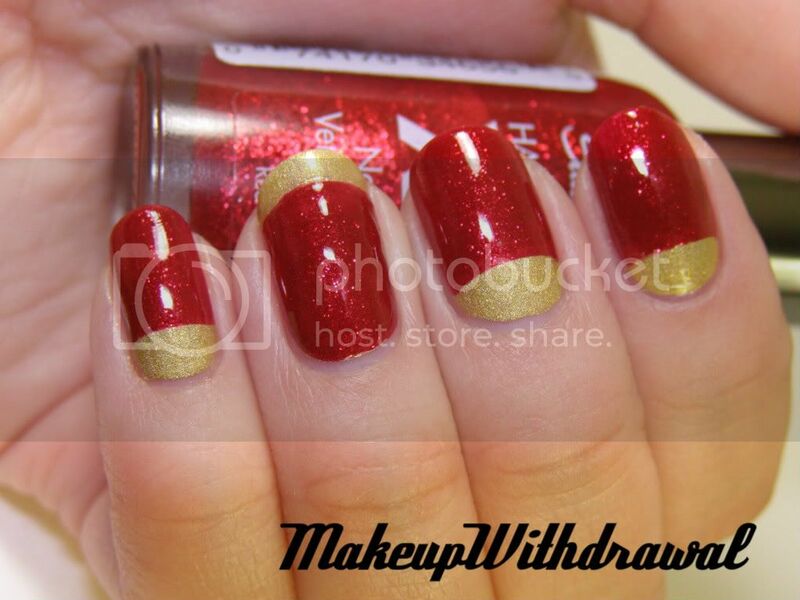 I did my nails earlier for Chinese New Year, so of course I had to use gold and red! I also completed my nail challenge for the day, half-moons. I used China Glaze GR8 (which sadly, lost all of its holographic nature due to the topcoat and indoor lighting) and Sally Hansen Red Carpet aka another Ruby Pumps clone. Oh! Also I used Seche Vite French Guides to help me make crisp curves.